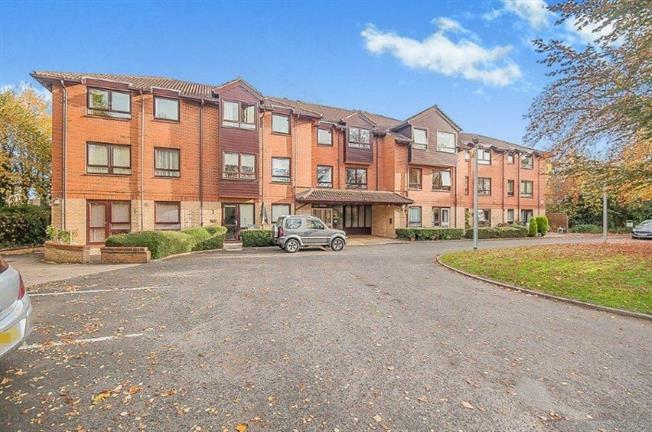 1 Bedroom Flat For Sale in Peterborough for Offers Over £65,000. Bairstow Eves are pleased to offer for sale this over 55's apartment. On the development there are communal gardens, fitted lift access and stair lift on main staircase and laundry facilities. A large communal lounge which opens on to the gardens. The court has a non-resident manager on duty on week days, alarm call system with pull cord located in every room. Outside you have car parking for residents. Front door, storage heater, carpeted flooring and storage cupboard. Double uPVC window facing the front, convector heater, storage heater, carpeted flooring and wall lights. Double glazed uPVC window facing the side, electric heater, tiled flooring, tiled splashbacks, roll top work surface, wall and base units, single sink with drainer, space for freestanding oven and space for fridge/freezer. Double glazed uPVC window facing the front, convector heating, carpeted flooring and a built-in wardrobe with shelving. Electric heater, carpeted flooring, tiled walls, concealed cistern WC and wash hand basin set with vanity unit with cupboards in base, corner shower and extractor fan.